Earlier today, director J.J. Abrams tweeted a very clever photo in response to the onslaught of leaked Star Wars: Episode VII set photos. 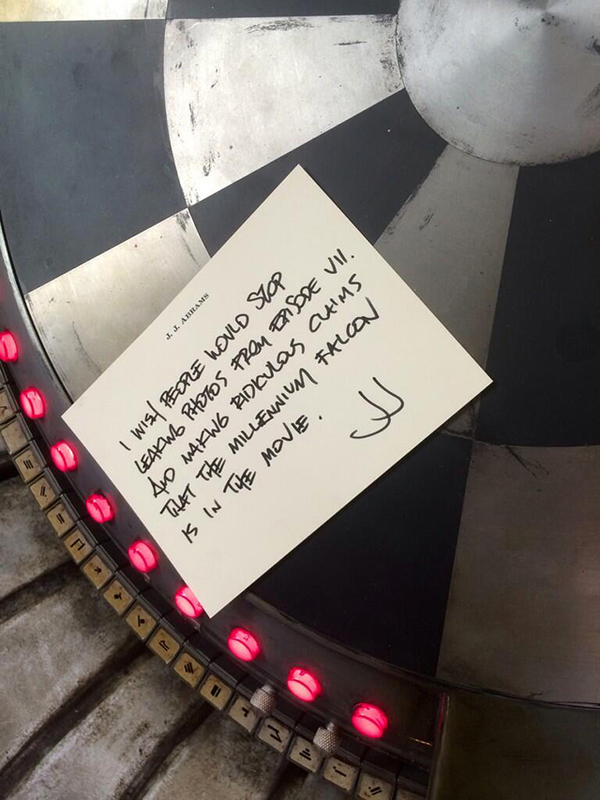 The image featured a handwritten note from J.J. stating, “I wish people would stop leaking photos from Episode VII. 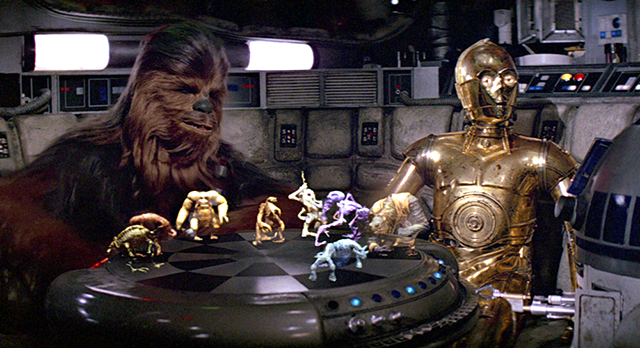 And making ridiculous claims that the Millennium Falcon is in the movie.” The absolute best part about this photo is that Abrams laid his written note on top of a Dejarik hologame table, which appeared aboard the Millennium Falcon in Star Wars Episode IV: A New Hope. It may be a confirmation that we will see Han Solo’s trusty starship in Episode VII.